Judy Berndroth is the Head of EU Transportation, based in Luxembourg. In this role, she has both operational and strategic is responsible for leading EU transportation flow for outbound & reverse logistics. Amazon’s EU outbound network leverages over 50 carriers and Amazon’s own middle/last mile logistics. In her role, a vital task is performance management eliminating operational defects to enable on-time delivery and speed for Amazon’s customers. Prior to her current role, Judy has been accountable for building operational excellence and business intelligence at Amazon Local Fulfilment Centers in the U.K. and Germany, DHL Express CEO Department and DHL Express Worldwide Network Operations. Judy holds a Ph.D. from the Chair of Logistics Management at WHU – Otto Beisheim School of Management. 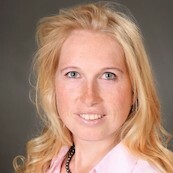 Moreover, she is an Editor of the Sustainability Accounting, Management and Policy Journal.